Hi guys! 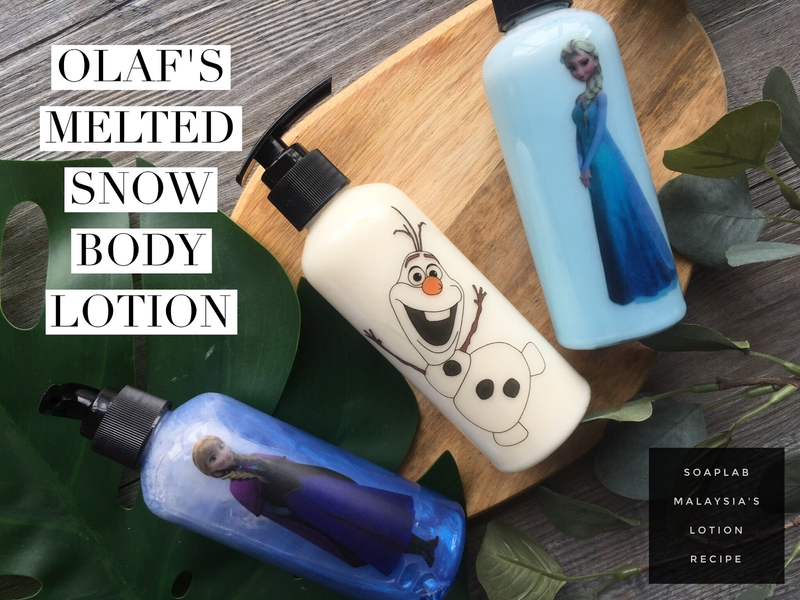 Today we bring you the recipe for the Olaf’s Melted Snow Body Lotion. Like Olaf from frozen our body lotion is fun and exciting. Body lotions can help moisturize and nourish the skin. Kids will be kids and sometimes we need to make it more fun and exciting for them to apply the lotion. It has a jojoba lotion base has anti-inflammatory and anti-bacterial properties. This is particularly important for children, since they spend lots of time playing outside. It also uses the vanilla lace fragrance oil which gives it a nice soothing smell. The Olaf Vanilla Body Lotion is very easy to use, even for kids. All they have to do is to apply onto the skin, and the lotion will do the rest. Enjoy!